As billions of travelers take to the skies, the International Air Transport Association is expressing concern about protectionism. During a presentation this week, Alexandre de Juniac, IATA’s director general and CEO warned against protectionism and the reversal of globalization in the industry, which could slow down growth and put jobs at risk. New forecasts from IATA indicate that the number of passengers being transported by airlines will likely reach 8.2 billion by 2037. The forecast is based on 3.5 percent annual growth rate for the industry. But if protectionism and reversal of globalization become an issue, it could put up to 100 million jobs worldwide and $5.5 trillion in GDP at risk over the next two decades, according to a statement issued by IATA. “Aviation is growing, and that is generating huge benefits for the world. A doubling of air passengers in the next 20 years could support 100 million jobs globally. There are two important things that stand out about this year’s forecast. Firstly, we are seeing a geographical reshuffling of world air traffic to the East. And secondly, we foresee a significant negative impact on the growth and benefits of aviation if tough and restrictive protectionist measures are implemented,” said de Juniac. The Asia-Pacific region will drive the biggest growth in the industry, according to IATA, with more than half the total number of new passengers over the next 20 years coming from that market. The Asia-Pacific surge is being driven by a combination of continued robust economic growth, improvements in household incomes and favorable population and demographic profiles. 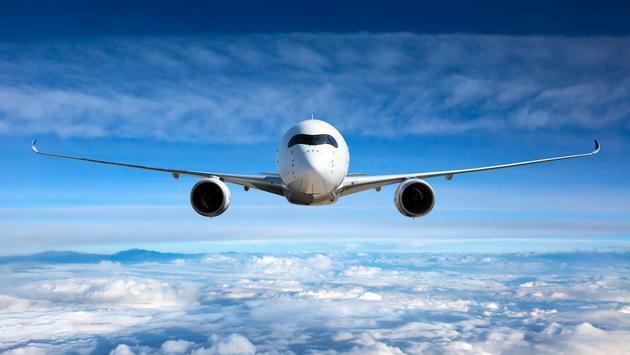 —China will displace the United States as the world’s largest aviation market (defined as traffic to, from and within the country) in the mid-2020s. The rebalancing of China’s economy towards consumption will support strong passenger demand over the long term. —India will take third place after the US, surpassing the UK around 2024. —Indonesia is forecasted to be a standout performer—climbing from the world’s tenth largest aviation market in 2017 to the fourth largest by 2030. —Thailand is expected to enter the top 10 markets in 2030, replacing Italy which drops out of the ranking. IAT cautioned that should protectionism continue to expand in a “reverse globalization” scenario, aviation would continue to grow, but at a slower pace and deliver fewer economic and social benefits. Under a liberalized environment connectivity would generate significantly more jobs and GDP growth.